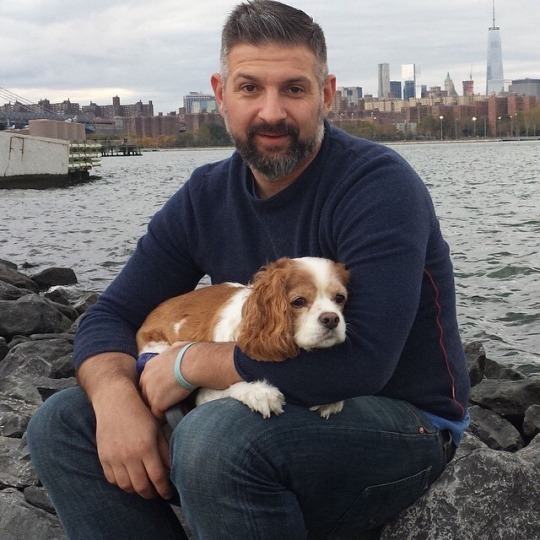 Adam Pokornicky and the Sniffer team is building a “Tinder for dogs” mobile app, and their landing page is built with Weld. Tell us about Sniffer and yourself – what do you do? What is the background of the website? 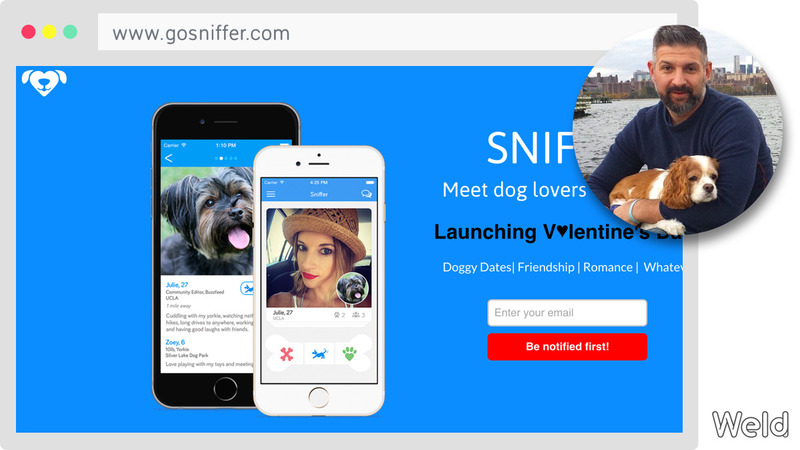 Sniffer is essentially a “Tinder for dogs” mobile app to meet dogs or dog lovers nearby. It uses mutual friends and social connections as well as interests, proximity and preferences to make relevant introductions for potential playdates for your dog or friends/dating connections for yourself. Sniffer originated as a feature inside DoggyBuddies, our dog sitting app and it’s popularity and interests lead us to spin it out as a standalone app. Our users were passionate about expanding the capabilities and meeting more dog people. It became clear to us that not only was loving dogs a way of life but it may even be a common prerequisite in modern relationships. We see a lot of demand there and think Sniffer can definitely fill it. The background of the website is simple. I was looking to build a simple landing page where users could quickly visualize what we do and have a simple call to action. 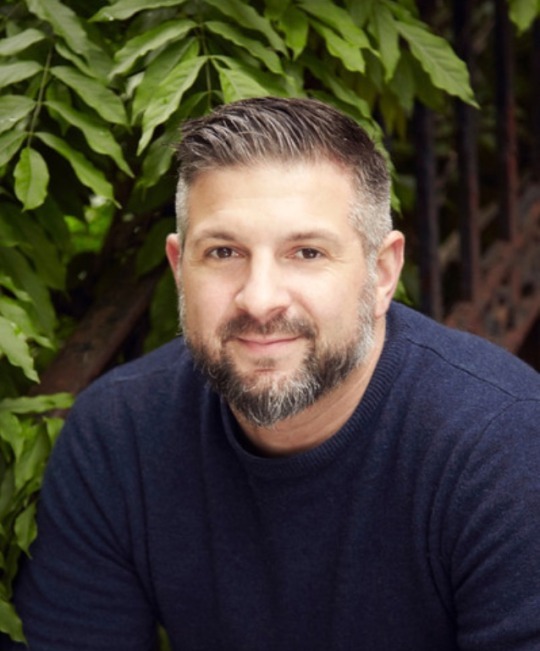 ​Why did you pick Weld for the website? I was actually looking for a product like Weld and it was almost like perfect timing when I discovered it on Product Hunt. I know we needed something to start directing traffic to our upcoming launch and to generate beta testers but I knew I didn’t want to be committed to any one design because I wasn’t sure how complex or what the site ultimately would be. When I started going through all of their videos and tutorials, I quickly realized they had all the design elements, tools and widgets that I was looking for with an almost dummy proof architecture to build off of. What was it like designing the website in Weld? I actually thought it was a lot of fun. I tend to design stuff and then when I see it built I want to change like 5 things which becomes another 5 things and so on and so on. Being able to design freely, change my mind at will and have the power to create responsive designs was not only incredibly valuable but it was a lot of fun. I went from dreading a website build to loving it almost instantly. What did you discover/learn while designing? I discovered that I’m an expert website developer. The day before that, I was a dummy website developer. The final product is exactly what I wanted and it did a fantastic job during the lead up to our launch collecting emails. I’m actually getting ready to add a few pages and a blog to the site shortly and looking forward to putting my expert developer hat back on. What are the next steps for Sniffer? Sniffer is hoping to do a soft launch the week before Valentine’s Day and followed by a full scale roll out the following month. We definitely intend to use Weld for the foreseeable future and for additional work and side projects. It’s definitely a go-to resource moving forward. Check out Sniffer on www.gosniffer.com and download the Sniffer app here.